Asaib Ki Raat Novel Ambar Naag Maria Maut Ka Taaqub Ki Wapsi Series part 24 authored by A. Hameed. Ambar Naag Maira Maut Ka Taaqub Ki Wapsi series contains 100 complete novels. All novels of this series promote amazing historical fiction stories for kids in Urdu language. Story of the five thousand years’ journey of the return of Naag Maria and Ambar. Maut Ka Taaqub Ki Wapsi series gripping on full suspense, action, adventure, horror, mystery and fantasy for children. The main theme of this series is based on grandeur and heroism. Amabar Naag and Maria series divided in 3 miniseries as mentioned below. 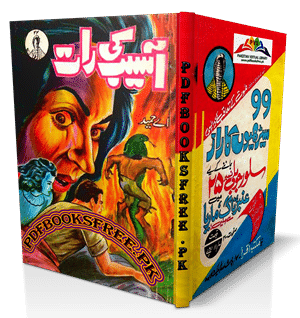 Urdu kids novel “Asaib Ki Raat” Ambar Naag Maria Ki Wapsi Series part 24 is now available on Pakistan virtual library for online reading and download. Check out the following links to read online or download Maut Ka Taaqub Ki Wapsi series part 24 in Pdf format to enjoy offline reading. Umera Ahmed is a great writer. a big one salute for her.